A few days ago, a Groupon offer popped up on my phone that was too irresistible to pass up. Portland Magazine was offering a great deal – two years for the price of one. Since my current subscription was about to expire, I was more than happy to shell out $24 for a brand new, two-year subscription to my favorite Rose City periodical. Two days later, I received an email from the Controller at Portland Magazine. Wow, I thought. Such personal customer service! I was impressed. Until I read what he wrote. I believe you may wish to ask Groupon for a refund, as you may have reached a different Portland magazine than the one you were looking for, based upon your address. And that’s when I realized hadn’t renewed my subscription to Portland Monthly, as I’d believed I was doing, but rather to Portland Magazine. It’s amazing what a difference one little word can make. Instead of a subscription to a magazine detailing life in Oregon’s largest city, I had inadvertently subscribed to a magazine detailing life in Maine’s largest city. Maine, not Oregon. The Pine Tree State, not the Beaver State. 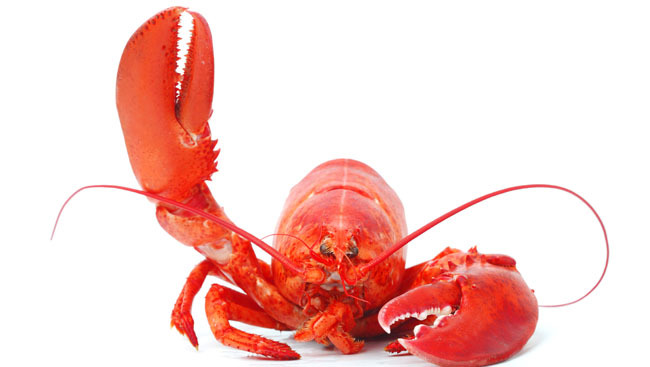 Lobsters, not hipsters. This kind of pissed me off. Why was Groupon advertising a deal for a magazine 3,000 miles away? It seemed to me like they were trying to capitalize on the confusion the name “Portland” would create around these parts. We already suffer from an identity crisis thanks to that name (though not so much since Fred Armisen’s Portlandia turned our weirdness into a national craze). This faux pas does not help matters. Thankfully, the staff at (the other) Portland magazine was friendly and gracious, and Groupon issued me a refund almost immediately. The issue was all tidied up and resolved in record time. But then, I actually started to regret my hasty decision to demand my money back. Because I’ve long had a fondness for the other Portland, and even voiced out loud the idea that it might not be a terrible place to live, at least as far as the East Coast goes. 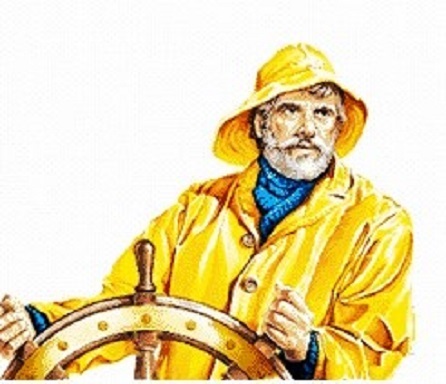 True, it’s more Gorton’s fisherman than Paul Bunyan, but it does possess a certain allure. Like Oregon, Maine’s got a lot of trees. And counties named after Native American tribes (just substitute Penobscot for Multnomah and you’re golden). It’s isolated from the hustle and bustle of places like Philly, Boston, and New York. Based on photos, the scenery is downright beautiful. Plus, Stephen King would be my neighbor! (Seriously. Maine isn’t exactly overrun with people. Wikipedia tells me it’s the 8th least populous state. I feel like you’re neighbors, at least in spirit, with everybody else who calls Maine home.) I was all set to log back onto Groupon and buy another subscription to this far-away Portland magazine, but then my uncle informed me that Maine’s governor is a real prick so I put a pin in that idea, at least until after the next election. Today is my Friday! It’s actually the third consecutive short work week for me. I could get used to this lifestyle. My brother and SIL are driving up from California for a visit – this will be the first time we’ve seen them since our wedding in 2013 – and we are meeting at Beverly Beach on the Maine, I mean Oregon, coast for two days of camping. Sort-of camping, to be honest, since Tara and I will be staying in a yurt. Yes, the place is heated and has a skylight and front door, but we’ll still have our sleeping bags. When we planned this trip months ago we had no idea what the weather would be like in Newport this time of year, and decided not to risk a tent since memories of our 2012 camping washout are still all too fresh. Turns out the weather is going to be fantastic, but hey, better safe than sorry! Portland, Maine is more hipster than you think! And less Paul Bunyan as well! Of course, Portland is in southern Maine, which is much more populated than the rest of the state. Living in Mid Coast Maine is nice…but a 45 minute drive to just about anything has its drawbacks! Tara moved here from a place where she had to drive 3-4 hours to anything, so I think we could handle Mid Coast Maine! Mark, so glad to hear that Groupon and (the other Portland) were gracious and issued you a refund, that’s awesome! And agree with you about Maine, I’ve always wanted to visit; especially in the fall and winter. I bet it’s gorgeous! Have a great time visiting with your brother and SIL this weekend! Glad the weather is going to be fantastic! I’m surprised you’ve never been there, Ron. You live so close already! Have a great weekend and post lots on Instagram, if you’d be so kind. Love your cityscapes. I hear North Korea great place and after you are arrested you won’t have any bills for next 25 years. But be careful. Their mag’s pictures are really of South Korea. I just knew those guys couldn’t be trusted! Portland Magazine is a wonderful publication from University of Portland (Oregon). It’s edited by Brian Doyle, one of our most amazing American writers. I (and others) think him to be our resident genius. You could do far worse than enjoy a subscription, even if by mistake. Really? It’s published locally? The plot thickens! I’ll have to pick up an issue now, if I can find one around town. I sat next to a man from Portland, Maine on a plane once. Super unfriendly! I hope he was the exception to the rule! I know that certain parts of the country have a reputation for rudeness. That’s definitely not the case out here. People are almost TOO kind! Not that it’s a bad thing. I would be tempted to continue the subscription regardless of location purely based on their proactive follow-up. That goes well beyond customer service. Trust me, I wish I had! All I can think is, they were probably inundated by angry, clueless Oregonians and wanted to proactively put a stop to that. Either that, or they really are just super nice people who value excellent customer service. Wait is this the second time you’ve subscribed to a Portland Maine magazine? Otherwise, deja vu! I’m late to this party, but your photos from the trip fun look awesome! No, I have a subscription to Portland Monthly, based in Oregon. I was just apparently confused over the fine print of the Groupon deal. I might have mentioned Maine a time or two before on the blog, though.